Blundell's Cottage was built in 1860 to accommodate skilled workers on the Duntroon Estate. It remains the only such building in the Parliamentry Triangle. Furnished to depict turn-of-the-century rural life, the cottage provides an intriguing contrast to modern Canberra. Visitors gain an insight into the Limestone Plains before it was chosen as the site for the National Capital. Education program designed for ages 8 to 11. $1 Concession (students, pensioners), $2 Adults, $5 Family. Guided tours, school groups (bookings essential - call the cottage for more information) - education programs for 5-12year olds, brochure. The cottage collection comprises less than 700 objects, the majority of which are on display. The focus is domestic and rural equipment from the period 1890-1910. 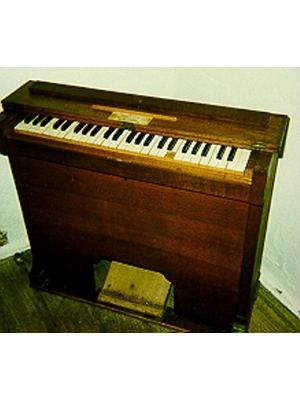 Small reed organ, operated by bellows, encased in a wooden box with ivory keys. Organ was used by Miss MacIintosh, of Queanbeyan, Grandmother of Mr Roy Morton of Queanbeyan who donated the object. 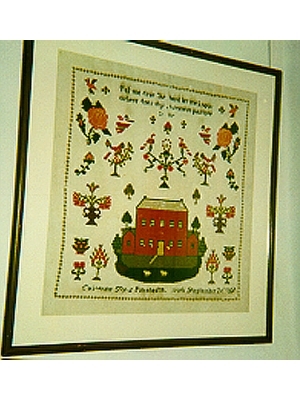 Large sampler, green, pink, grey thread of a house surrounded by floral motifs. Catherine Tom was the Governess to the children of the Southwell family - their descendants are still in the district. The sampler was made as a teaching aid. 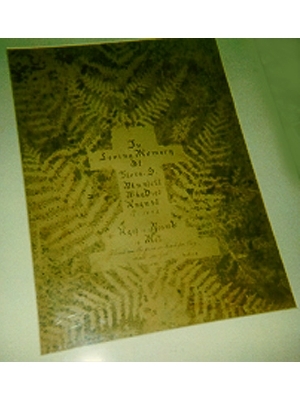 Heavy buff paper with ink spatterwork design of cross and ferns inscribed in ink with date of Flora Blundells death and a prayer. Flora Blundell (1875-1892) eldest daughter of Flora and George Blundell of Blundell's cottage, part of the Duntroon estate. Died from burn incurred while ironing in the cottage. The children of the Kaye family of Southbank (prominent family in the district) made this for their mother. 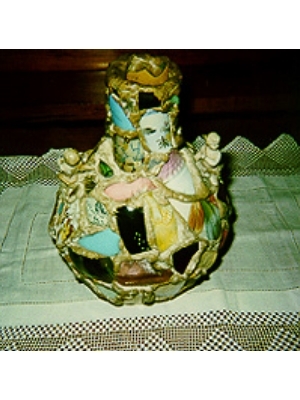 Two ceramic cupids on either side of the vase are believed to have come from St Johns Church. 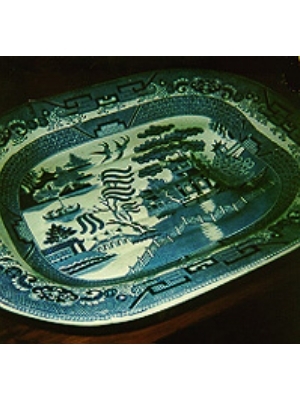 Willow pattern dish, with hollow to collect meat juices. This was a wedding present from Mrs George Campbell of Duntroon to Sarah Winter & Samuel Shumack in 1889, well known families in the district, their descendants are still in the area.